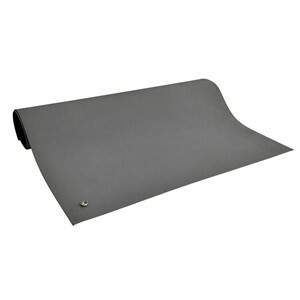 SCS - 6810 6800 Series, 2-Layer Rubber Mat, Gray, 0.072" x 24" x 48"
6810 - 6800 Series, 2-Layer Rubber Mat, Gray, 0.072" x 24" x 48"
This item is built-to-order with 5 in stock. If more than 5 are needed, orders will be accepted for a minimum order quantity of 6. Please contact customer service for lead time.